50+ ERP Integrations and Strategic Partnerships, and Still Counting . . .
Get started right away. Simply point to your data and start analyzing with powerful, interactive dashboards. Get one-click access to 100+ pre-built dashboards with the metrics that matter most to you. Quickly see the big picture and drill down to get granular insights into business performance. Understand Business Performance at a glance- anytime, anywhere, on any device. Accelerate sales through data-driven insights. Track Shop-Floor performance in real-time. Track and keep your finished goods inventory to an absolute minimum. Drive Sustainable Quality Improvements while containing costs. Efficiently Manage your day-to-day purchasing and gain control over spending. Gain better visibility into warehouse performance. Combine all your logistics data in one analysis. Achieve Instant Visibility into Revenues and Costs. Keep your Engineering Processes on the Right Track. Streamline HR Operations and Improve Workforce Productivity. Anvizent is a truly Innovative analytics solution that has made our reporting & analytics simpler, faster and easier. 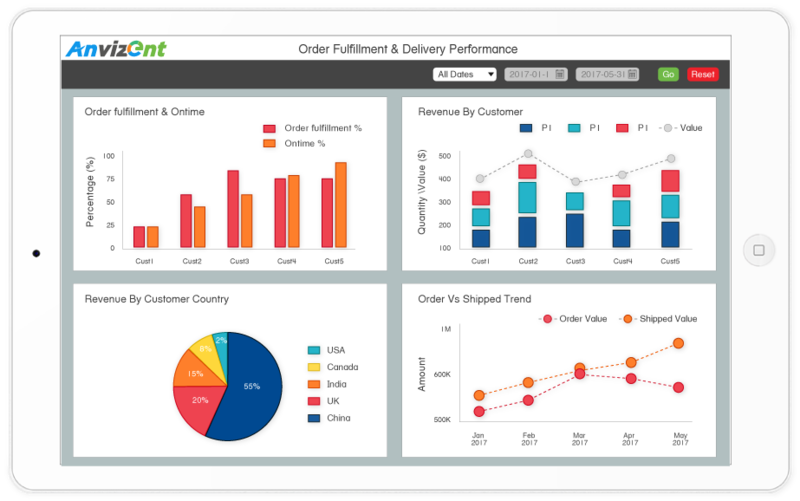 We have used crystal reports and a lot of spreadsheets before ProfitKey ERP partnered with Anvizent. Anvizent implemented a full suite of dashboards and reports across a dozen departments in a matter of days. When it came time to do some dashboards that are unique to us, they were able to do it at a very low cost and in a short span of time. We used to do reports internally before to try to meet our needs. With Anvizent and their self-service dashboards we saved a tremendous amount of resources and now have a much more intuitive and flexible solution. 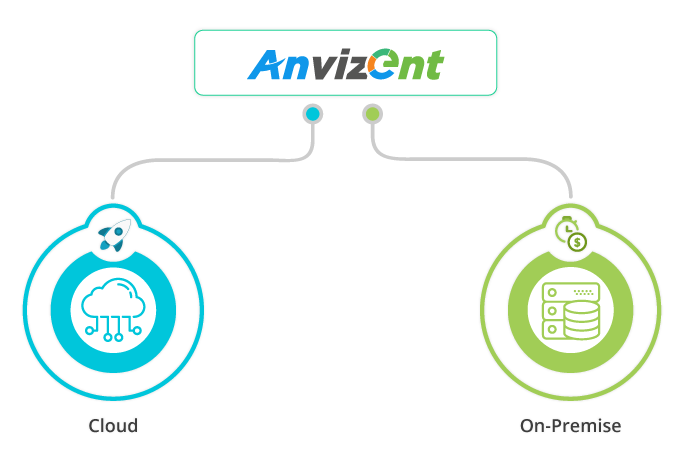 The best things about Anvizent are the fastest deployment, self-service, ease of use, and timely support. I would strongly recommend Anvizent to anyone looking for true self-service automated ERP analytics. Although data is available in Epicor ERP it’s not always easy to provide the correct insight to the users. With Anvizent, users are able to quickly access and analyze up-to-date information without having someone from IT spend time building queries or dashboards in Epicor 10. Anvizent has shown to be a very trustworthy partner, delivering on what was promised. The implementation was very quick and the overall solution was inexpensive. I really enjoy working with them. Excited to be using Anvizent with Exact Online. Interactive, live reporting for all the team. What stands out the most during the time we have worked with Anvizent is that the Anvizent team delivers. From our experience we could literally Go Live on Day One, which was quite impressive. The team we work with is highly knowledgeable, works fast and is very diligent when it comes to follow-ups. Anvizent has unlocked data which enables us to monitor our business processes. It provides us with easy access to real-time data and excellent visualization on our performance. I appreciate the Anvizent team on their positive contribution to the development of our company. Want to see Anvizent in action?